Egbert Dros returns into Mini Rod class ! 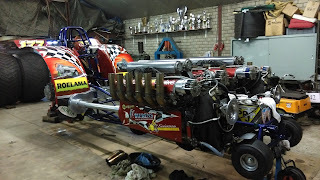 After a 9 years absence, Egbert Dros owner of Post & Dros engine shop and the Unlimited Modified Tractor called ,,Komeco Simply Irresistible´´ from Dronten in the Netherlands returns into the Mini Rod class. 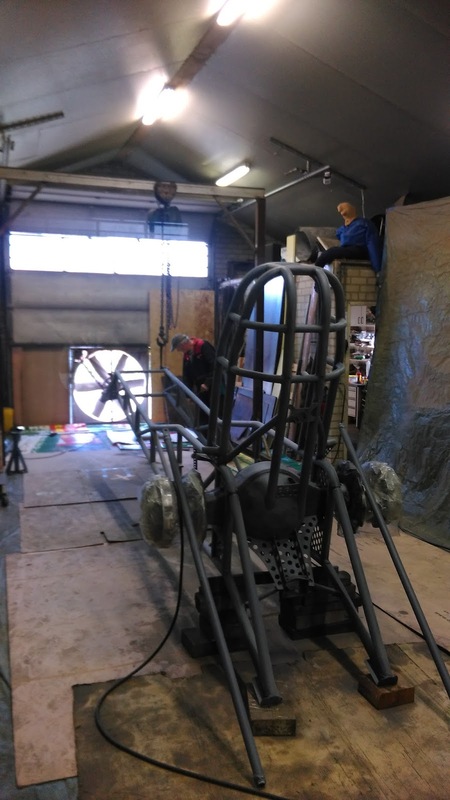 The Dutchman is currently building a new Mini Rod with a tube frame and a BAE Hemi V8 engine. The new tube frame came from the Screamin´ Bobcat Team from Ijsselmuiden in the Netherlands. The name of the new Mini Rod is ,,Ground Shaker´´. The date for first start of the new Ground Shaker isn´t known at the moment. 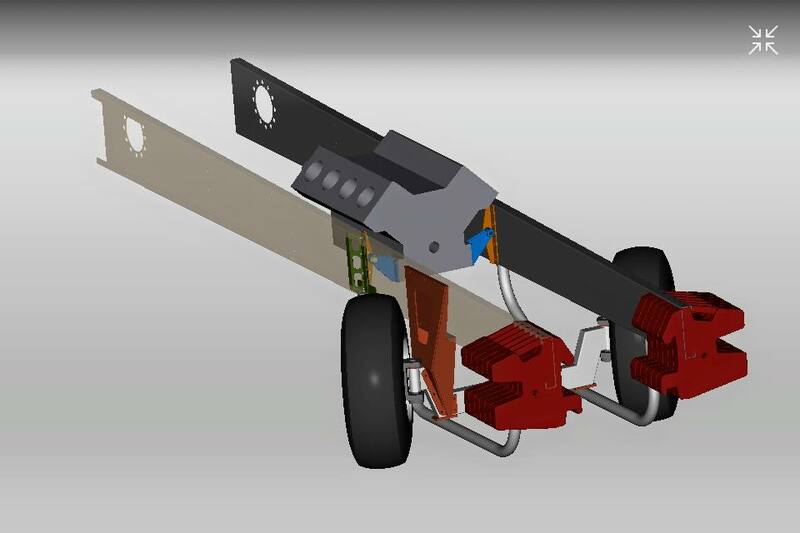 But the Simply Irresistible Team will continue with their big Modified Tractor in the Unlimited class. 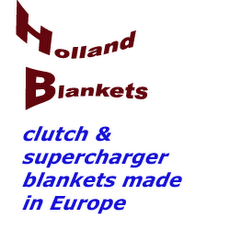 A little bit of history, Egbert Dros and his crew won the European Championship in 1994 and the Euro Cup title in 1996 in the Mini Rod class. The former Ford Pro Stock Tractor called ,,Tonja Harding´´ of the You Never Know Pulling Team from Klepp in Norway got some changes during the winter. After 25 years in Pro Stock class, the Norwegian Team has decided to make a switch into the Light Super Stock class this year. 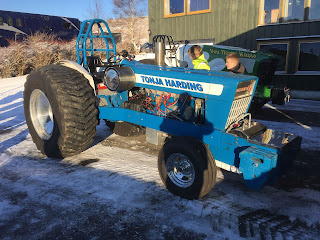 The Tractor got a new 6 cylinder Ford engine with 7.6l capacity. 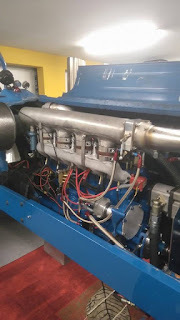 The Ford engine receive a Holset HX 82 turbocharger with a homemade intake and exhaust system, a revised Ford stock cylinder head, special made pistons from KMB (Koebrugge Metaal Bewerking), new Darton liners, a Ford stock crankshaft and a VSP (Veldhuizen Special Parts) injection system. 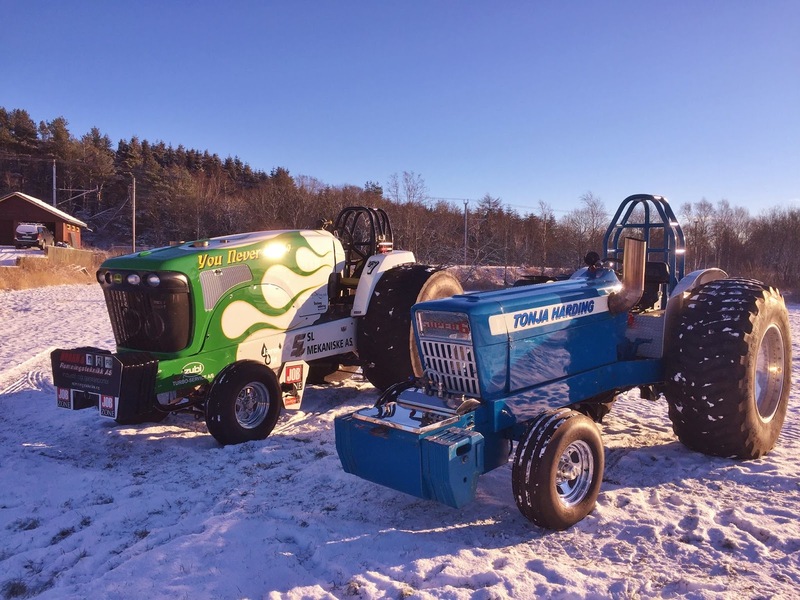 The You Never Know Pulling Team will compete with their Light Super Stock Tractor in the Norwegian Championship this year. The first start is planned after those changes for the 29th of May 2016 in Bryne, Norway. European Superpull 2016 competitors are known ! I was there on saturday, but I decided to not take photo's. So don't wait till you see them, because they won't show up. 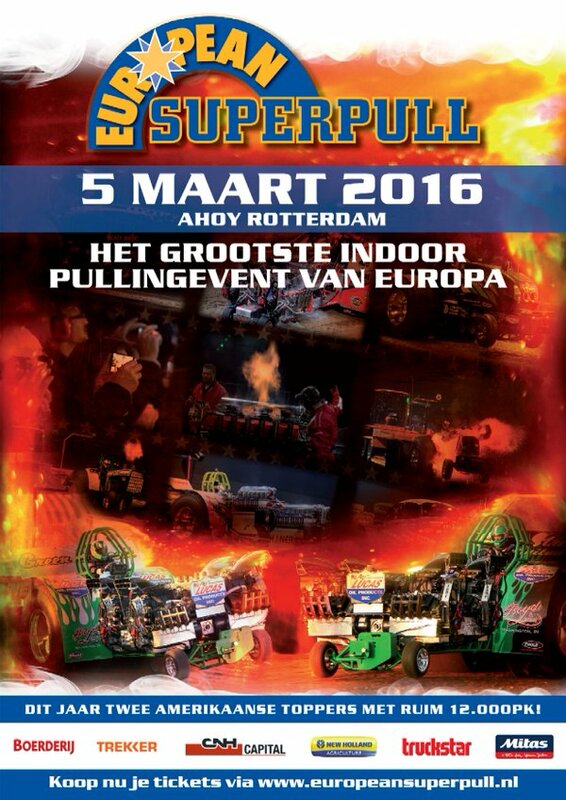 Superstocks and Modifieds in Zwolle ! 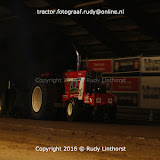 The Red Attraction Pulling Team from Hattemerbroek in the Netherlands are building a new Component Pro Stock Tractor at the moment. 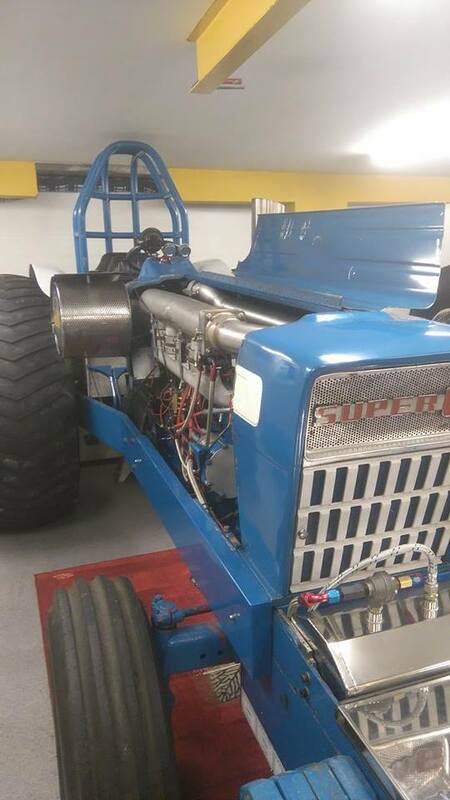 The Component Pro Stock Tractor gets a homemade Domex wedge frame with a homemade ROP and a new Massey Ferguson 7600 series hood. 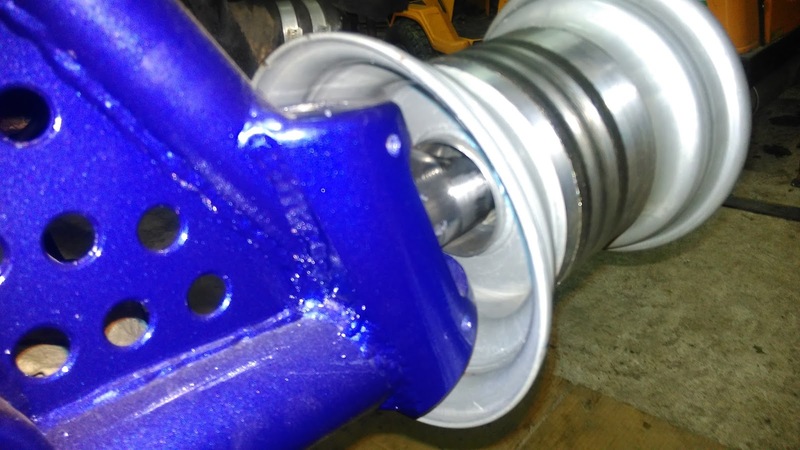 The new rear axle of the MF receive a Rockwell ring and pinion gear with ZF planetaries. The new rear axle housing was built by Kees Wajer (White Crow Pulling Team) from the Netherlands. The new gearbox of the Pro Stock tractor come from Profab in the USA. The MF gets a Crower 11 inch clutch with 4 discs. 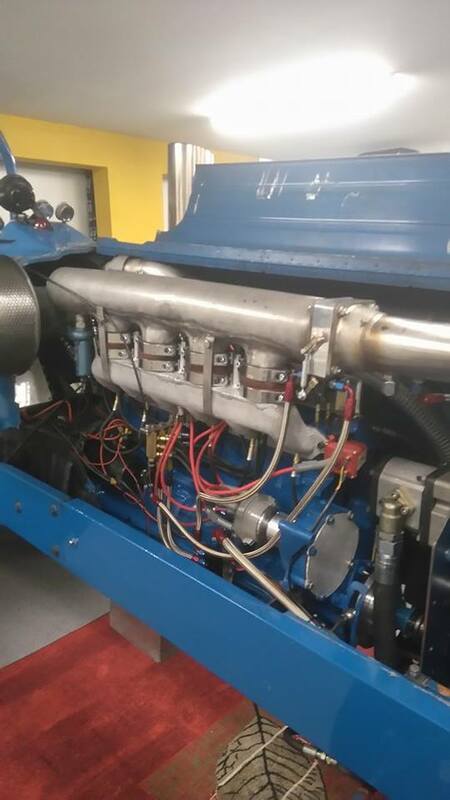 The new MF Pro Stock tractor will have a Perkins V8 510 engine with a Columbus 5 inch turbocharger, a homemade intake and exhaust system, new Darton liners, KMB (Koebrugge Metaal Bewerking) rods, GMS (Genes Machine Shop) pistons, a homemade crankshaft, a homemade Intercooler and a billet Columbus injection pump. The new Tractor receive the old set of Firestone tyres with rims of the old Red Attraction. The old Red Attraction is without the engine and the wheels still for sale. 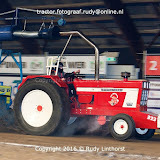 The Red Attraction Pulling Team will compete in the Dutch Grand National Championship this year. The first start of the new Component Pro Stock tractor is planned for the 14th of May 2016 in Stroe, the Netherlands. 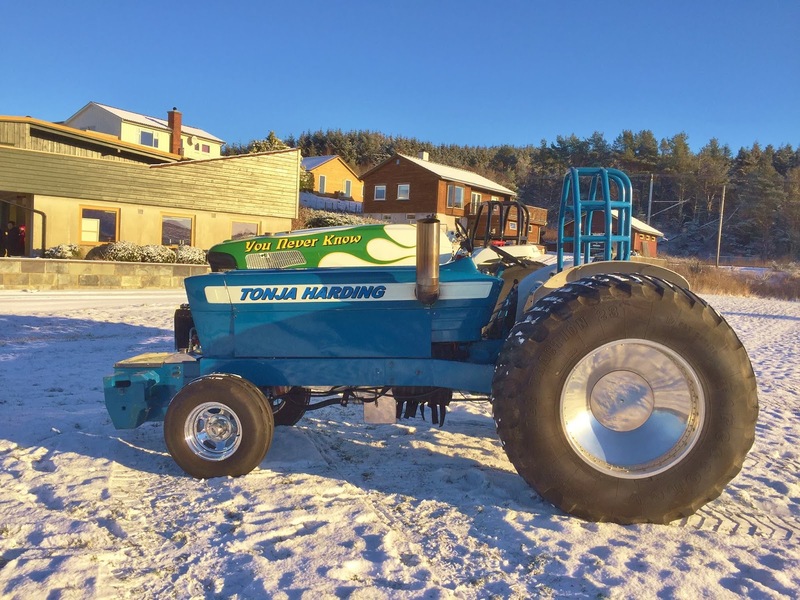 The Light Modified Tractor called ,,De Jong Special´´ from Alphen in the Netherlands got some changes during the winter. 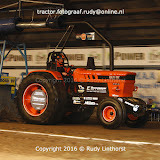 The Dutch Team decided to modifiy their Tractor after the two crash landings at the Euro Cup event in Buk (P) and Putten (NL) last year. The tube frame of the twin Rover V12 powered Light Mod Tractor was completley revised. 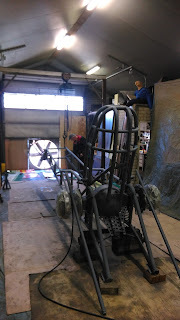 The Team built almost a new tube frame for the Light Mod tractor during the last months. 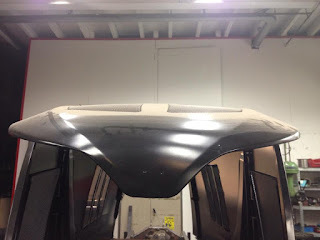 The frame also receive a new constructed front axle with new smaller front tyres. The both Rover V12 tank engines are 15cm now more forward on the frame with this new built front axle. 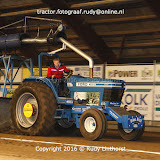 The last year newly built Crossbox is now again further back on the Tractor, because of the two crash landings and the good pass with the old Crossbox at the EC in Brande (DK) last year. The Team hopes to get a better balance with those changes. 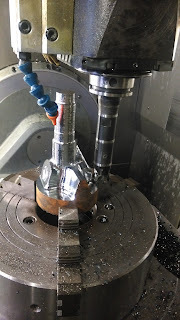 The Team also reduced the weight in the driveline, on the gears and the driveshafts. 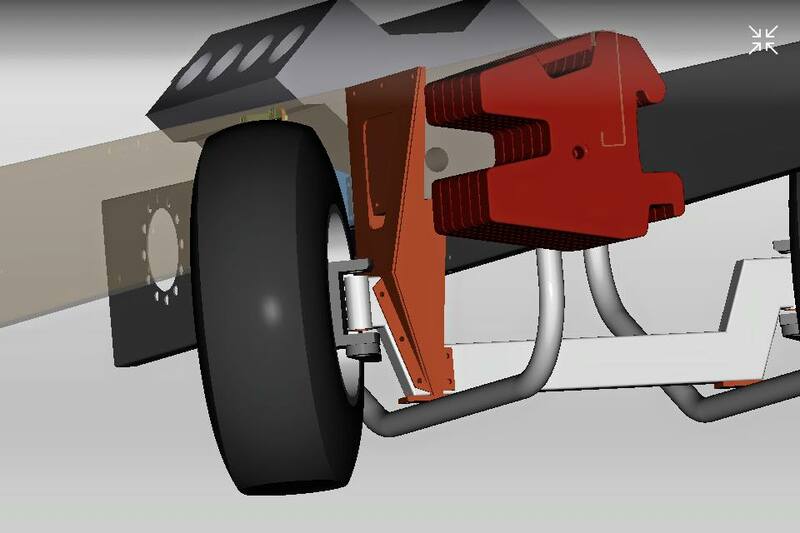 Last but not least, the engines receive a new high voltage battery for a better spark in the ignitions. The De Jong Special Team will compete in the Dutch Grand National Championship and in the Euro Cup this year. 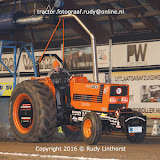 The first start after those changes is planned for the 23rd of January 2016, at the Indoor Tractor Pull in Zwolle, the Netherlands. 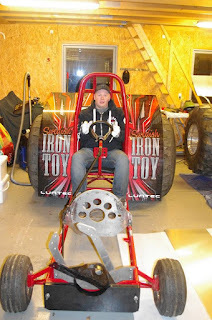 Chassis of Swedish Iron Toy sold ! The Chassis of the Mini Rod called ,,Swedish Iron Toy´´ from Ljungbyhed in Sweden was sold to Denmark. The Docol Chassis was sold to the First Choice Pulling Team from Denmark. 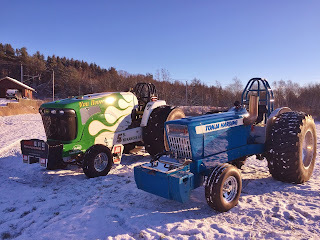 Also the rims with the Cepek tyres of the Tractor were sold to the First Choice Pulling Team. 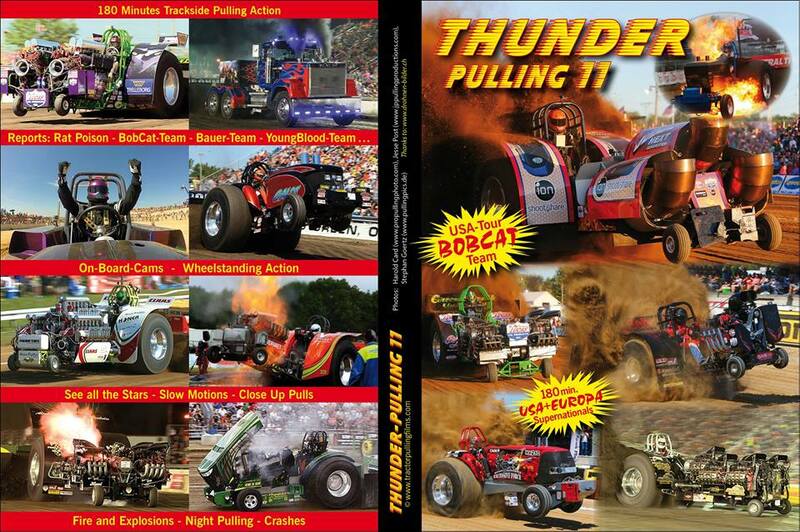 The new Thunder Pulling 11 is out now ! The new released part of the "Thunder Pulling" series is on deck. Filmed with professional, High Definition camera-equipement, and available on DVD and also BluRay-Disc. High quality in Picture and Sound. 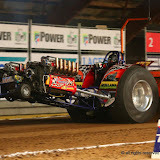 So you feel the noise and earthshacking blast when the Pulling Machines are thundering down the track. With almost 3 hours of playingtime, Thunder Pulling 11 features all the competitors, teams and tractors from the american and european Pullingseason 2015. 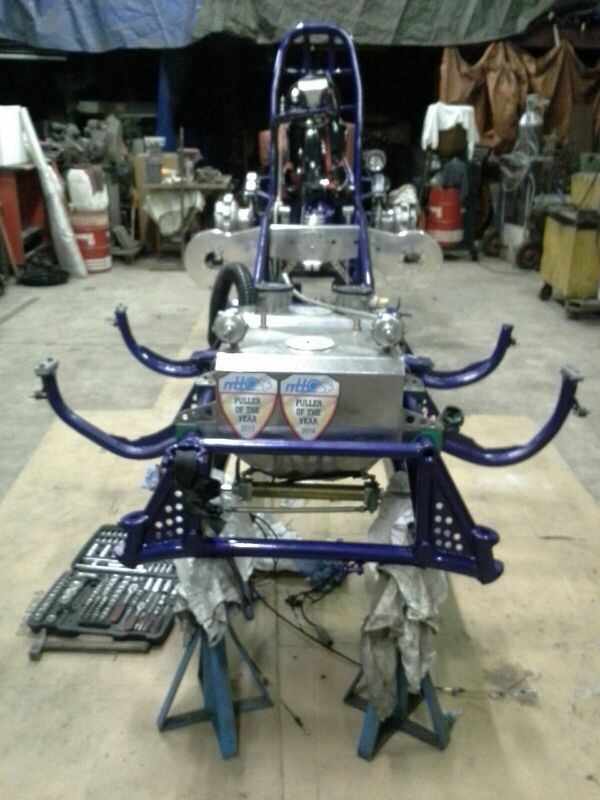 The new film starts up with the SUPER NATIONALS of Pulling, in PULLTOWN USA - Bowling Green Ohio. 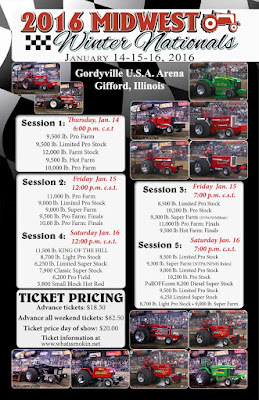 By far it is the biggest, most exciting and most spectacular Tractor Pull in the world. "Ring". Every team is well prepared and runs on the limit. Great Pulling Action is garanteed. 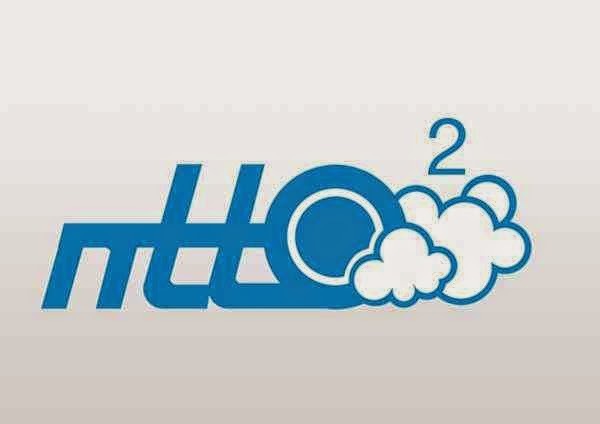 Pulling Action is going on from Friday noon until Sunday evening. also under the lights in the night. This year the netherlands "BOBCAT TEAM" from the Boer family toured the USA and run the NTPA and PPL pulls. Berry and his father Bertus Boer were very successful with their wonderful, homebuilt "Bobcat" Mini Machine. We begleiten the team the whole weekend, with interviews, great pulling action, up and downs, like their crash at the Pullingevent in Hillsboro, Nebraska. But finally the Boers team made it on the podium and won the PPL-Championships. The first european team winning it. Congratulations to you All. The competiton was filmed right beside the 2 Powertracks, close on the sideline. All the action is captured from Start to Finish and from a lot of different camera positions, with slow motions and some good music. Great Onboard footage gives an exciting view, mounted on the pilots helmets, rollcages, engine hoods and sleds, right behind the Tractors. Of course there are a lot of teamreports, interviews and background infos on Thunder Pulling 11. The reported drivers explain their mechanical innovations and new releasments. Screamin D Pulling team - Juck Knapps wonderful Unlimited, with the huge, one of a kind, 18-71 blowers, over 3000 horsepower per motor.......closeup footage, roaring engine sound. Youngblood Pulling team - Brian Shrameck and his son Braden run a six engined Unlimited Modified and 2 Diesel Super Stocks, the brand new Acgo Allis "The Legacy" and "Youngblood". American Thunder Pulling team - Bill Voreis pulls over 40 years and pilots his new "American Thunder" 5-engined Modified. 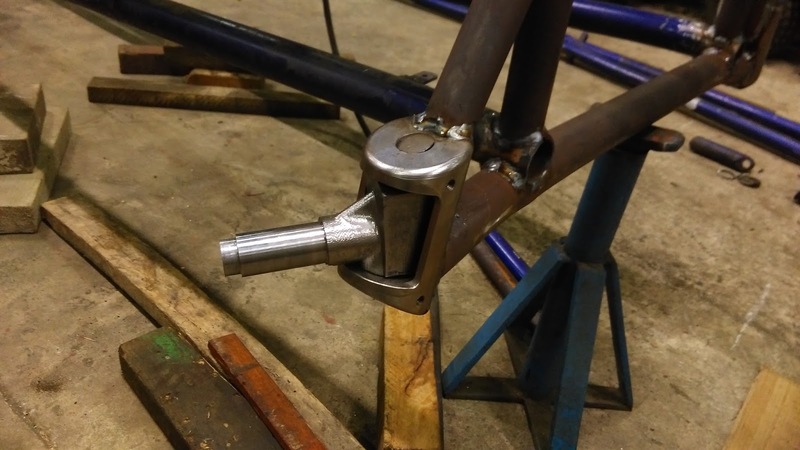 Rat Poison Pulling team - Brian Diekman built a one of a kind, innovative frame for his new Rat Posion, powered by 2 Allisons. Mr. Twister Pulling team - Scott Tedder is one of the strongest Modified competitor. He manufactures pullingframes, like "Four No Hemi" from Italy or the Danish "
Chasin Tail team - a brand new V8 Diesel based on MF 1155 Chassis. 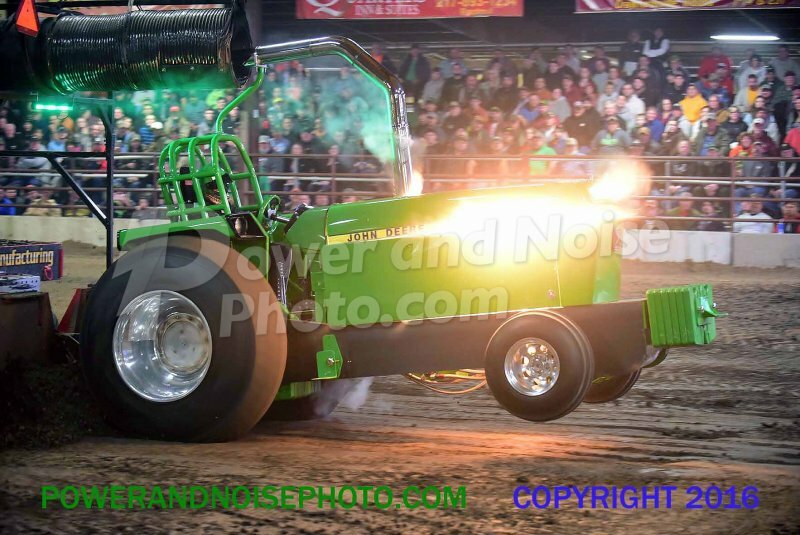 Renegade Deere team - one of the most powerful John Deere Diesel Super Stocks. GALOT team - Drag Racer John Strickland pilots the one of a kind, best looking, Alcohol Super Stocks "Get A Load Of This"
Silver Bullet team - Jordan Lustiks famous - chroom - airbrush Super Stock V8 Acgo Allis. New Holland Ford Stormy - Full Pull Motorsports Light Super Stock, high performance methanol engine blows up at half track. Runnin Bare team - Jeff Hirt pilots two Case V8 on alcohol, he runs the engines on the limit. Cody Shays old fashioned, good looking Farmall. Jack Kielmeyers wonderful Super Semi Truck "JackedUp", looks like a Drag racing "Funny Car Truck", flip-top fiberclass body and 4000 Horser under the hood. BOBCAT team - Berry Boer pulls in the tuffest Mini competition. The europeans are on the top field of the huge class, where almost everybody can win. Berry and his father Bertus gaves us great interviews, reports and performed actionpacked pulls.NoMercy team - Bruce and Tiger Slagh experience with a new frame-construction, sitting almost on the engine at their beasts. also featured are the BLOWN and DIESEL POWERED FWD-TRUCKS and the wheelstanding TWD-Trucks with their crazy, funny car bodies. All those Pulls were very exciting with a lot of international starters and Pulling Tractors from all over Europe. Many new Teams performed this year at the european scene and a lot of action was on the Tracks. With a teamreport from the german Super Stock team Kaiser and their one of a kind John Deere. 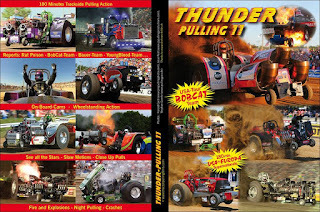 ORDER YOUR DVD OR BLURAY OF "THUNDER PULLING 11" online today with PayPal. Zwolle 2016 competitors are known !